Schooled, But Are They Safe? Editor's Note: As part of our yearlong exploration of the intersection of families, guns and violence, ParentMap decided to ask the question: How secure are our schools, and why? Read our companion story here about security at Washington state schools. More than a year after Adam Lanza shot his way into Sandy Hook Elementary School in Newtown, Conn., killing 20 children and 6 educators, are schools any safer? The answer you probably don’t want to hear is: It depends. The nation’s deadliest school shooting, on Dec. 14, 2012, spurred debate and soul-searching among educators and policymakers across the country, boosted new technologies and security products, and prompted calls for changes to state and federal policies on guns, school security and mental health. It also struck fear in the hearts of parents. 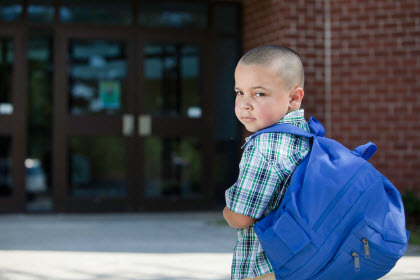 “School officials are under a tremendous amount of pressure from parents to do something,” says Michael Dorn, executive director of Safe Havens International, a nonprofit school safety consulting group in Atlanta working with public and private schools nationwide. Yet parents concerned about the security of their child’s school and eager to quantify how safe their child is won’t find a national standard to measure up to, or, even similar procedures from one school or district to the next within their own state. School approaches to safety range widely and depend on variables such as funding, administrative decisions, training, community attitudes toward armed security on campus, and the quality of planning and communication between school officials and first responders. Despite a wave of post-Newtown school-safety-related bills proposed in state houses across the nation, only a fraction of them have become law. (The majority enacted dealt with school emergency planning, such as calling for more or more varied safety drills, according to the National Conference of State Legislatures. In Connecticut, just 2 of 31 bills introduced became law.) And school safety experts say too many states call on schools to improve school safety but fail to provide any, or at least adequate, funding to carry out the laws’ intent. President Obama made a stirring speech the month after the Newtown tragedy and pledged to work to help end gun violence, proposing renewed investment in school safety and mental health; this January, Congress approved just under $300 million toward such initiatives. Meantime, many schools around the country aren’t waiting. Administrators are reviewing emergency plans; looking to control building access better with keypad entry or buzzer systems or by upgrading classroom and entrance locks; and investing in security such as surveillance cameras, “panic” buttons to alert school security or police, and bullet-resistant glass for windows and doors. Some schools — like rural Shady Cove Middle School in southern Oregon and the Sweetwater Independent School District in Texas — are piloting new emergency alert technologies. Shady Cove teachers can press a button to connect immediately with first responders, lock doors and send law enforcement real-time video of what’s happening at school. For laws and policies specific to Washington State schools, see our story on Washington School Safety. See more family safety stories here. Schools are being bombarded by an exploding security marketplace — from bulletproof white boards to gun-detecting dogs — and security technology is advancing constantly. Nationally, school security spending for K–12 and higher education is expected to jump from $2.7 billion in 2012 to nearly $5 billion by 2017, according to an estimate from Colorado-based research group IHS. More school systems, like those in Spokane, Wash. (the state’s second largest), and Enfield, Conn., are also turning to armed security or school police. The National Association of School Resource Officers (police officers trained to work in schools) estimates that some 10,000 officers, or SROs, are working in U.S. schools; the group saw demand for training spike after Newtown (twice the number of officers in 2013 compared to 2012). After years of cuts, the Justice Department doled out nearly $45 million in 2013 to deploy 356 new SROs around the country (including four in Washington state). And parents have mobilized. Michele Gay, the mother of one of the children killed in the Newtown shooting, is working to ensure that parents’ voices are heard. Safe and Sound: A Sandy Hook Initiative, a grassroots group that Gay launched with several other local families, seeks to empower parents and communities around school safety with a slew of online tool kits and tips. The former teacher notes that in many parts of the country, there isn’t always a clear path for parents to follow to get involved with school safety; no “school safety” box on the back-to-school PTA volunteer form to check. But, she says, “parents could wind up being the rocket fuel on this issue. We, as parents, can be part of this to make a change, not just pointing out problems but being willing to bring our two hands” to find solutions. The fact that school leaders are responding to parental concerns about safety threats is both good news and bad news, Dorn says. 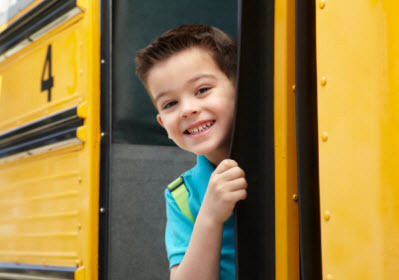 The good news: More schools are asking for help to thoughtfully assess their comprehensive safety and emergency preparedness. The bad news: Some school personnel are so focused on active-shooter scenarios that they could wind up actually making their school less safe. Statistically, incidents like Sandy Hook are exceedingly rare. “But many people are still so heavily focused on active shooter, they are shocked when you pose other types of scenarios,” Dorn says. In hundreds of crisis simulations that Dorn and his consultants have run with schools across the country since Sandy Hook, too often school staff expect every incident to escalate into an armed assault and therefore make potentially dangerous errors. In situations where teachers should take the basic precaution of locking the classroom door or calling 911, for example, instead they gather textbooks to hurl at a potential intruder. Or they choose to immediately attack a perceived aggressor or noncompliant person — such as a man without a visitor badge who refuses to stop for staff in a school hallway — rather than take safer steps to de-escalate a situation. That shouldn’t come as a surprise. State rules affecting school safety are all over the map. A law passed in Texas after the Newtown shooting, for example, creates “school marshals”: school employees authorized by local school boards to be trained to carry weapons in schools. Many states set a basic standard for safety planning and emergency preparedness or procedures, but it’s left up to local public school districts to decide what specific security measures to use, from whether to leave a door open or locked to whether to install security cameras. Which explains why I can walk through an open door at my children’s public elementary schools in Seattle, sign a visitor log in the office and be on my way, but my friend in a Chicago suburb walks into a locked vestibule, gets buzzed into the office, has her ID checked, leaves the ID at the office in exchange for a visitor badge, and only then can pass through a door separating the office from the rest of the school. Similarly, states vary in what they require of private schools. Indiana, for example, is often cited as having some of the most comprehensive (and best funded) safety rules and programs, many of which include those at private schools. National private school groups say even when non-public schools are not required by law to follow certain procedures, in practice many opt to do so, a statement echoed by several national school safety consultants. That said, some private schools worry about the image too much security can project, says Kenneth Trump, the president of National School Safety and Security Services, a Cleveland-based consulting firm. Further complicating the picture: There’s no one-size-fits-all solution to school safety and security, no universal checklist. And myriad factors influence school safety — crime rates, building design, grounds upkeep (have those trees planted a year ago now grown so tall that they block the surveillance cameras or sightlines from classroom windows? ), custodial and other staff training, local law enforcement capabilities and response time. Not to mention community values (armed security officers may be desirable to one community but verboten to another), budgets and school system leadership on the issue. “Circumstances are very different school by school, and the appetite for addressing it varies, as does the funding,” says Jay Garthwaite, who leads statewide facility security initiatives for Educational Service District 112 in Vancouver, Wash., and is helping 93 schools develop action plans following a comprehensive security assessment. And even when the appetite is there, he says, school safety competes with a slew of increasing demands on school administrators’ time and focus. National safety experts see too much attention being paid to security hardware and technology — such as surveillance cameras and panic buttons — and not enough to the human side of school safety, including relationships with first responders. “The first and best line of defense is a well-trained, highly alert staff and student body,” Trump says. It’s not just how many safety drills a school does, he says, but how schools carry them out: Are they always at 9 a.m., when it’s convenient, or are they sometimes conducted at lunchtime, when schools can practice quick reactions in times of maximum student flow? Are all staff, not just the principal, practiced in calling a lockdown? Evaluating how effective a piece of security equipment is can be tricky, experts say, because the way it interacts with other security elements and human judgment affects how well it works, or if it works (not to mention whether the school has spent the money to maintain the equipment properly). None of the experts I talked with said every school in America should have a metal detector, for example. I could find no credible research that says if a school buys security apparatus “X,” it will be “safe.” Most experts say the most critical gear is communications capacity (two-way radios, reliable school intercoms, etc.). And there’s evidence that SROs can be effective in preventing or defusing incidents. Most recently, an SRO at Arapahoe High School in suburban Denver was credited with limiting casualties and bringing to a swift conclusion an attack by a high school senior who fired six shots from a pump-action shotgun a day before Newtown’s first anniversary. The 18-year-old shooter ended up killing himself and critically wounding another senior, who later died. Investing in effective discipline and anti-bullying programs that affect school climate plays a key role in school safety, too, experts point out. However, schools can take measures to improve safety that don’t carry hefty price tags: limiting the number of open doors at school, training staff on visual weapons inspection techniques, encouraging teachers to teach with a locked classroom door and to walk in hallways in the middle or rear of a student line (versus at the head) in order to reduce fights and move students more quickly in case of emergency. Bottom line, Dorn says: “There are no foolproof prevention measures.” So schools must focus on the response to safety threats, too. Even with the best intended legislation and emergency plans, the outcome of an event often comes down to split-second decisions. “Even the largest districts in America, they don’t understand they have to prepare their people to make these decisions very quickly,” Dorn says. Sandy Hook had many laudable school safety measures, but Dorn says an analysis of the Connecticut state’s attorney report on the incident suggests much of the death toll was due to “decisions that were or were not made as soon as [the shooter] started firing at the front door.” For example, the Connecticut state’s attorney for the judicial district of Danbury reported two classroom doors were unlocked; it’s not yet clear why. As schools continue to scrutinize their safety, parents can expect to hear more debate about the impact of armed police or other security officers in more schools. Rapid advances in technology will likely continue to change the landscape and conversation about what’s possible and appropriate for school security. And architects are already seeing increased demand for school building and renovation projects that take security into account. For example, you’ll likely hear more about crime prevention through environmental design (CPTED), an approach that could translate into a front entrance designed so that staff can better see who’s coming and going. Possibly more districts will go directly to voters to raise money for school safety measures in the form of capital bond issues. “If we’re going to rely on the legislature to fund security in schools, we’re going to be waiting a long time,” Garthwaite says. Although voters have approved bonds that include school safety investments in Spokane for years, the Newtown shootings in 2012 prompted a districtwide safety audit. The 28,800-student district is now focused on upgrading all classrooms so they can be locked from the inside, connecting portables to the system that allows all exterior doors to be locked with the push of a button, and improved linking of surveillance cameras so school office staff can watch a live-streaming view of their school entrance. Spokane administrators are piloting locked interior doors to funnel all visitors to the school office; funding full-time counselors at all elementary schools; looking at sharing live camera access with local fire and police; and creating a culture in which visitor protocols are enforced and all staff must wear their employee ID badges (the safety audit found that just 32 percent were doing so at the high school level). The Newtown shootings also added momentum to a proposal first floated in 2011 to arm the system’s 14 SROs (district employees trained and commissioned by Spokane police). “I just saw this as a vulnerability. Each time there’s a school shooting, it makes us reevaluate,” says Jason Conley, district safety director, who estimates that as early as this spring, his officers will have received the same weapons training and carry the same standard-issue Glock 40-caliber handgun as Spokane police. Most of the school system’s officers have carried pepper spray or batons for years; Conley can’t recall the last time they were used. He says he hopes the same holds true of an officer’s gun. Ken Trump, head of National School Safety and Security Services in Cleveland, Ohio, offers 10 questions parents should ask about their school. More details are available at schoolsecurity.org. Ask your child about safety in his/her school (students often notice the gaps). How comfortable are students and parents in reporting safety concerns? What methods exist to report concerns (hotlines, email tip lines)? 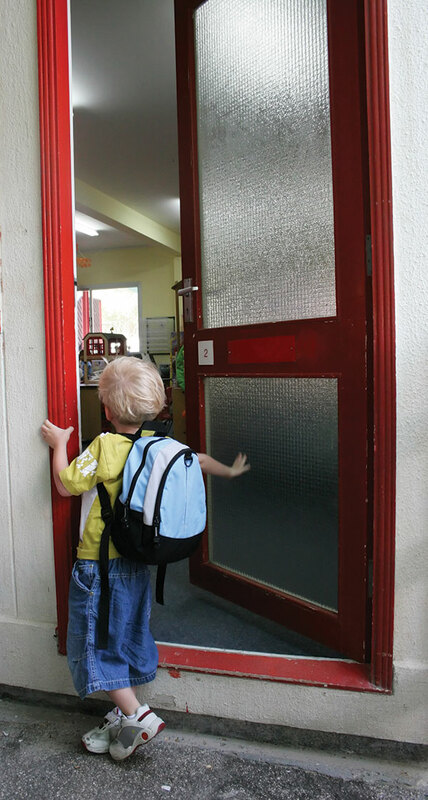 Examine access to your school (number of open doors; whether faculty or staff greet visitors, challenge strangers and know who is in their school). 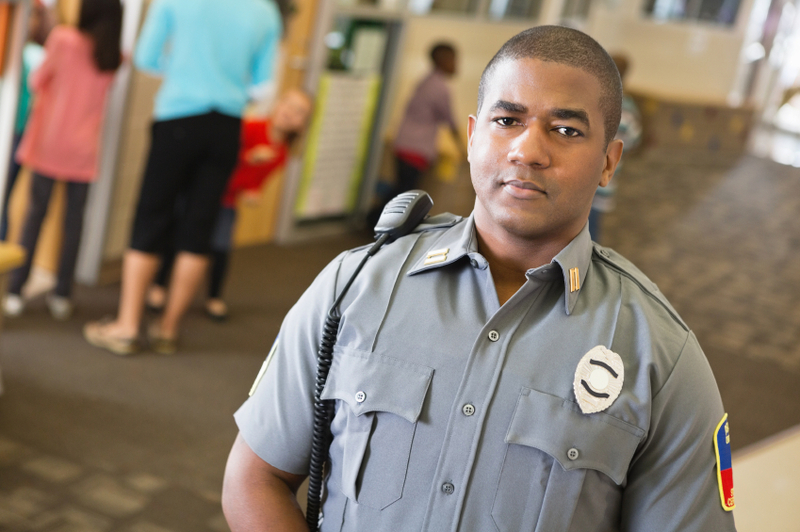 Does your school have policies and procedures on security and emergency preparedness? How are these regularly communicated to students, employees and parents? Does your school have a “living” school safety team, safety plan and ongoing process, as well as a school crisis team and school emergency/crisis preparedness guidelines? Are these plans and guidelines reviewed at least once a year? Do school officials use internal security specialists and outside public safety resources to develop safety plans and crisis guidelines? Do school officials have meaningful working relationships with police, fire and other public safety agencies serving their schools? Are school emergency/crisis guidelines tested and exercised? How? Have school employees, including support personnel such as custodians and office staff, received training on school security and crisis preparedness issues? How do school officials use outside resources and sources (safety conferences, experts, publications) in their ongoing school safety assessments? Are you doing your part as a parent to make school safe? Do you follow your school’s parking, visitor and other safety procedures? Do you support teachers and administrators with safety initiatives, including by asking the preceding questions in a supportive manner?